Sandwich a scenic island between dramatic mountain views with this 10-day itinerary. 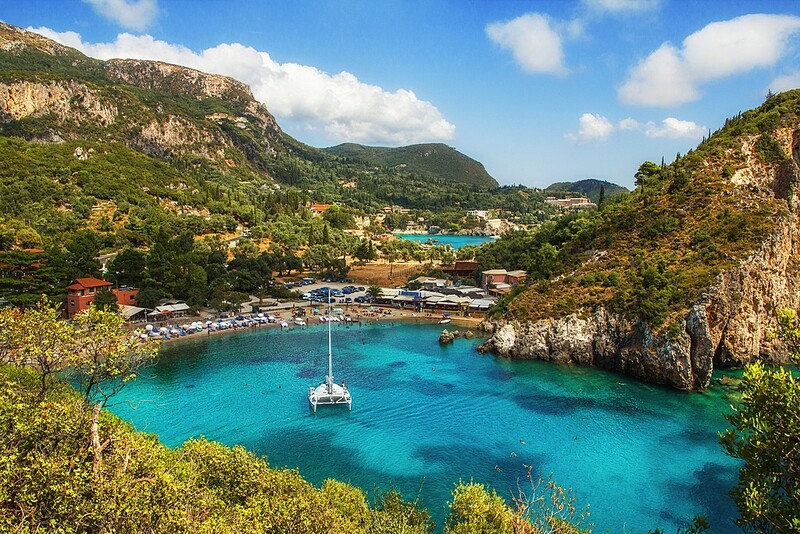 After beginning atop the Acropolis and exploring Mount Pilio, you'll set sail for Skopelos island, home to coastal forests and beaches so picturesque they were the setting for Mamma Mia. 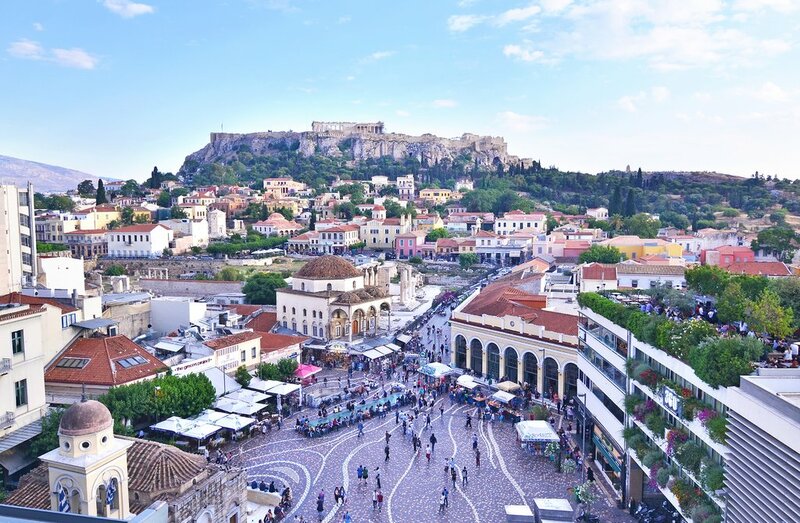 Dance your way back to the mainland to climb up to the monasteries of Meteora and Zagori mountain villages before you return to Athens to watch the sun set over the Temple of Poseidon. 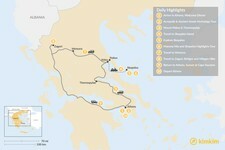 In addition to its main town, Skopelos is also home to three other main settlements. 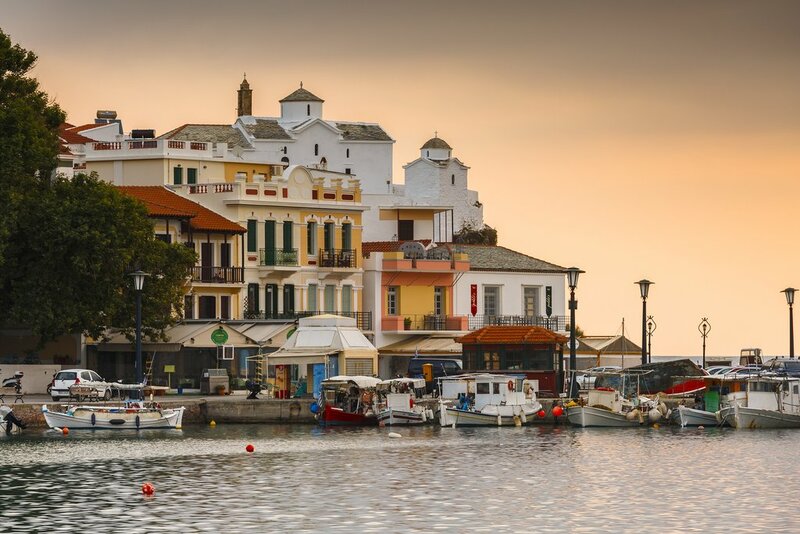 Traditional Glóssa is the second biggest settlement on the island, also known as "the tall village” according to the poet Papadiamantis—probably due to the many ruins of ancient towers discovered in the area. It is distinctive for its traditional, noble character and the ruins of ancient towers and buildings that have been discovered around the area. Nearby Palió Klíma is also known for being especially picturesque, despite the damage it suffered during the earthquake of 1965. 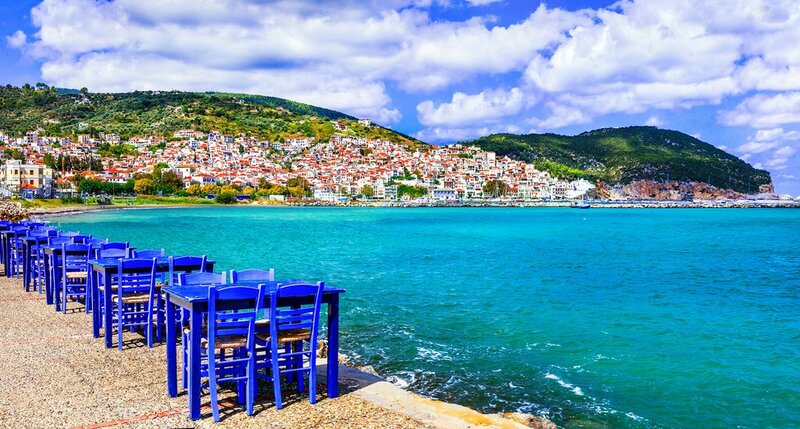 Néo Klíma, also known as Élios, is a newer town, built in just 1981 below the forest of Vathias and near Hovolos beach. 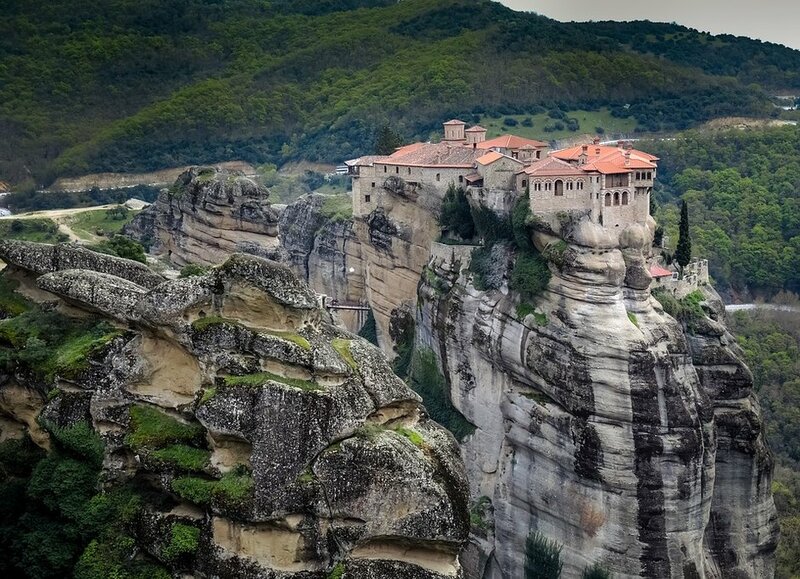 Head across the Central Greece countryside to visit the famous monasteries of Meteora. 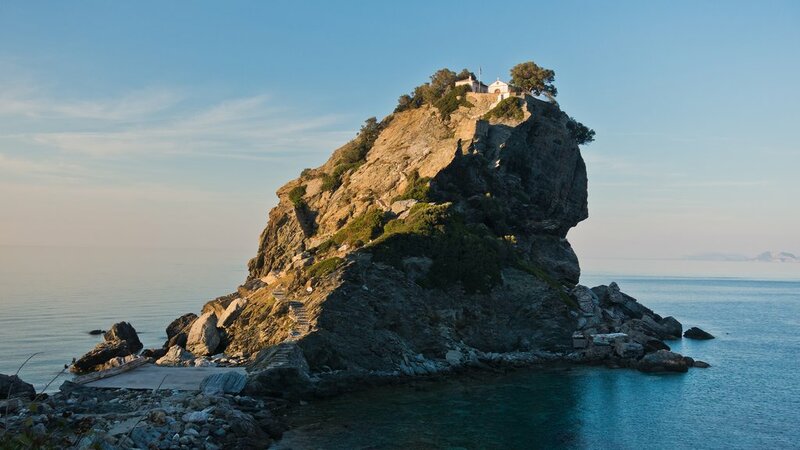 These clifftop monasteries, including Megalo Meteoron and Agios Stefanos, sit perched atop high rock formations but are still inhabited and used by monks and nuns today. 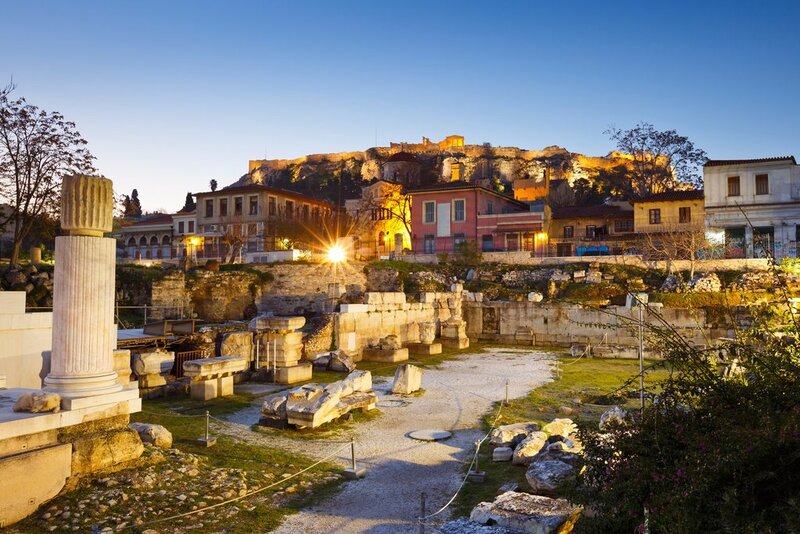 The area has been named a UNESCO World Heritage site and is one of the largest pilgrimage sites in Greece. Meet your guide for three hours among the monasteries. You'll see all six of the monasteries, with visits inside one or two of them for a glimpse of what the ninth-century monastic life may have been like. You'll tread the same paths that monks used for hundreds of years to reach these holy places, perched close to 1,000 feet in the air above the canyons of the Pindos range. Before the paths were constructed, the monastery residents used nets and rope ladders to hoist goods (and sometimes their fellow clergy) to the clifftops. 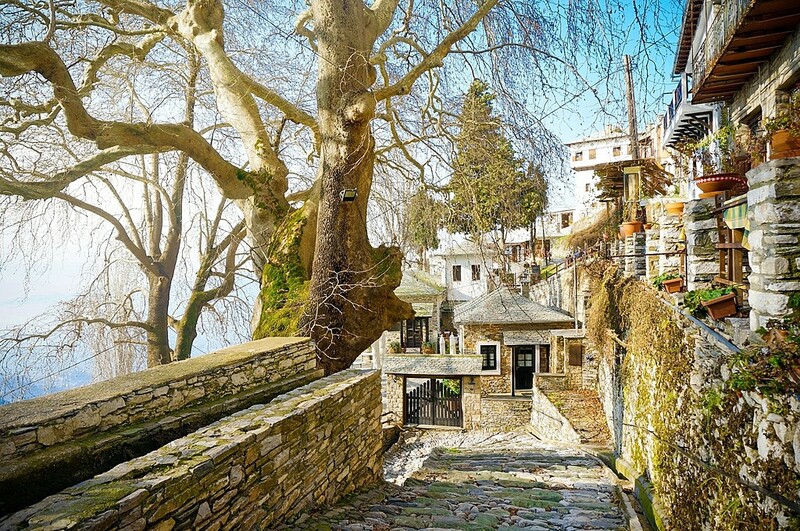 After breakfast, head to the fairytale Zagori Villages. This cluster of more than 40 hillside villages hides its well-preserved stone structures among the snowcapped mountain peaks, rivers, and gorges of Pindos, built amphitheatrically amid unspoiled landscapes. 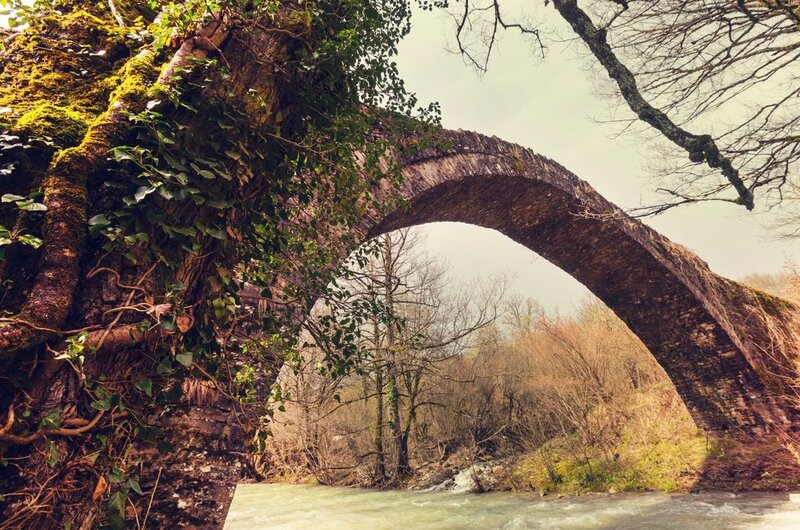 Though Zagori is most popular as a winter destination, the mountain towns are equally as charming amid autumn foliage or in spring and summer when the peonies and hydrangeas bloom. Due to the unique flora and fauna present in the region, it's been designated a national park with strict preservation rules. You'll take an easy guided half-day hike (great for families), taking in views of the surrounding scenery and learning about the history and culture of the region. It's a beautiful walk among the stone houses, small farms, and river bridges, which were built with a special technique believed to be unique to the region. Stop at the sixteenth-century Monastery of Pagia Spiliotissa for some bonus exploring, built atop a rock overlooking the Voidomatis river. The village of Vitsa makes an ideal stop for lunch, especially if you can find the area's mushroom-hunting expert. Spend the rest of your day resting and enjoying the slow pace of life in this region. 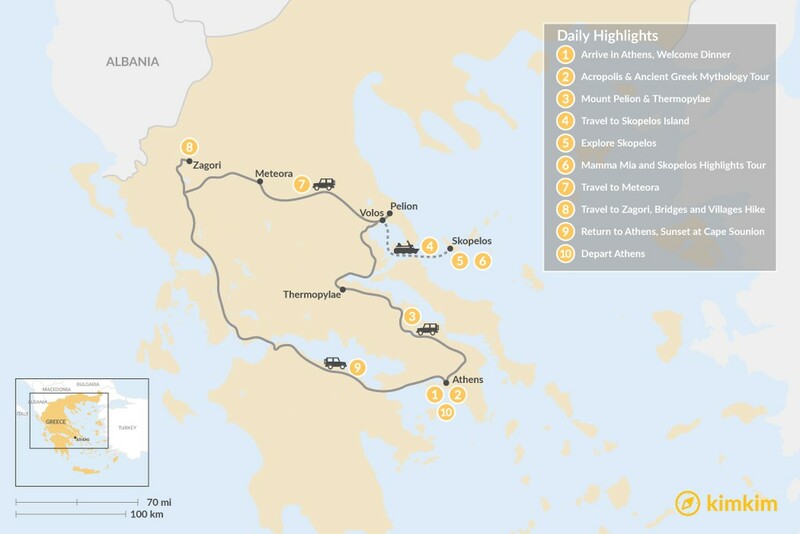 Return to Athens in the morning. 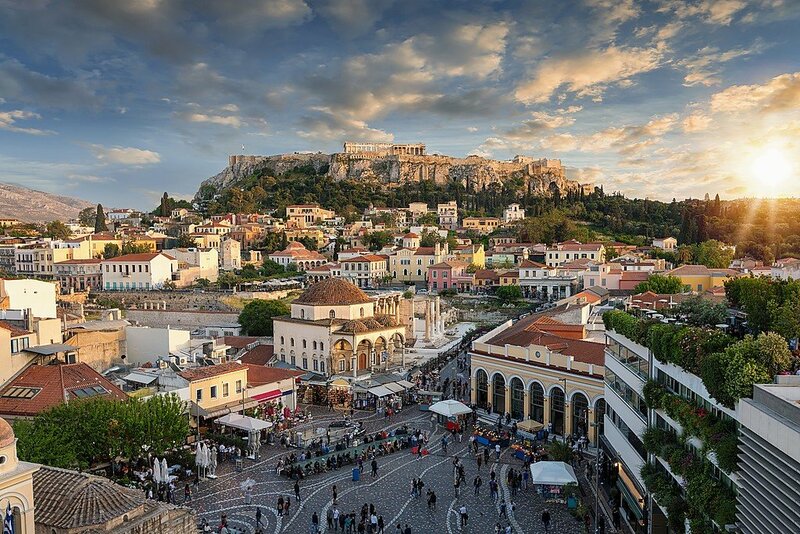 After you've settled back into the city, you'll be transferred down to the Athenian Riviera, full of both history and stunning island views. 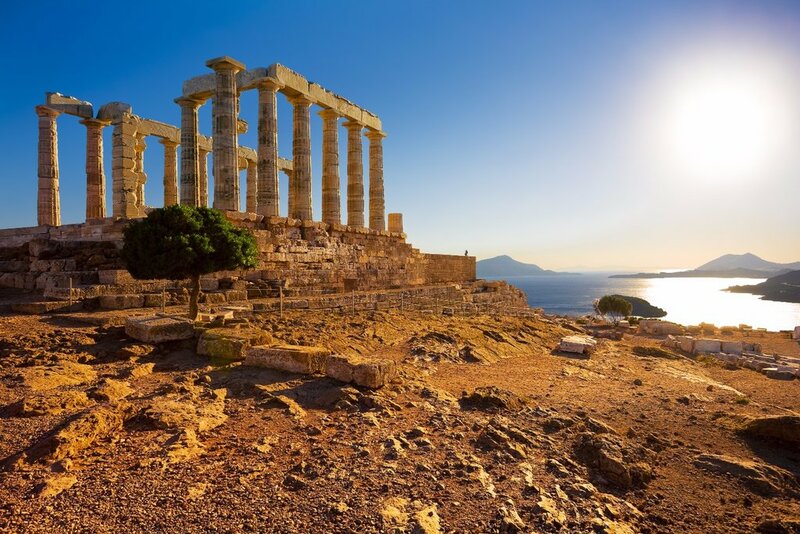 Your adventure will take you along the coast to visit the Temple of Poseidon, while being provided with historical background on the way. The views overlook the Saronic Gulf, with one of the best sunset views Greece has to offer. Sip a complimentary beverage and take in the sunset while you listen to music and immortalize the moment with a Polaroid-style photo. 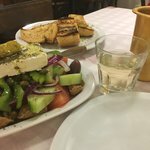 You'll be transferred back to your lodging in the evening just in time for a late (Greek-style) dinner. Or, if you're not ready to call it a night, you can request a drop-off at some of the most popular beach bars to dance until the sun comes up.